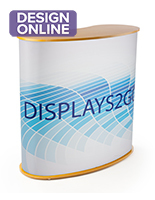 This modular counter for trade show comes with a custom graphic wrap digitally printed in full color. 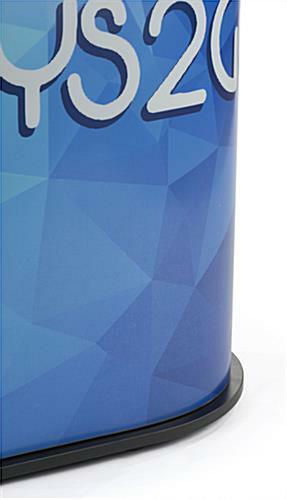 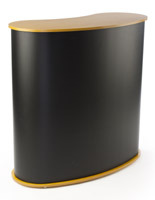 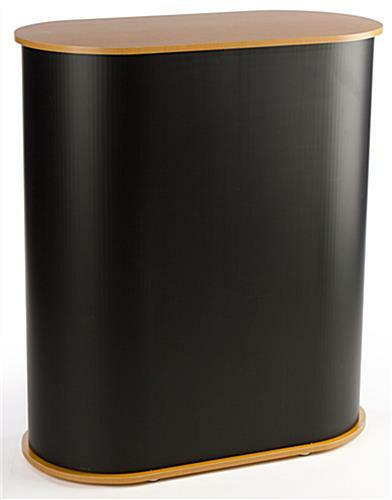 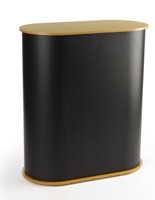 Choose any logo, slogan, image, or text to be printed in this replaceable vinyl covering! 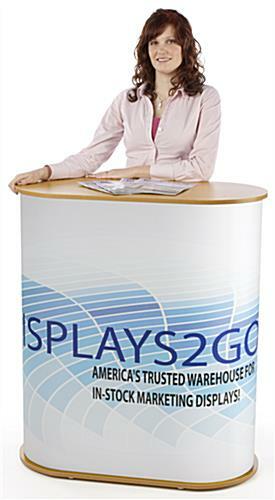 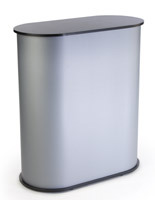 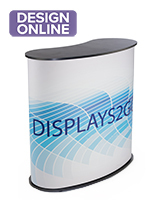 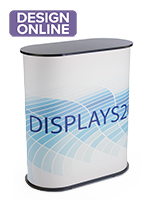 Each custom modular counter is the ultimate portable display for exhibition booths and conferences. 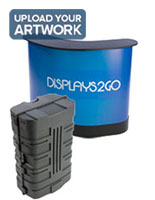 Two included carrying cases make transportation between events a breeze, and the unit’s lightweight MDF and plastic construction makes for quick and painless assembly. 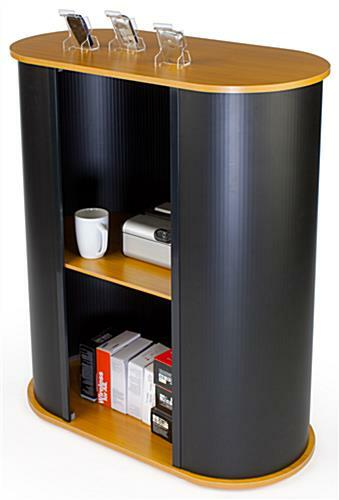 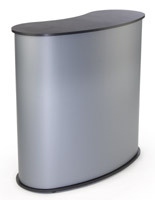 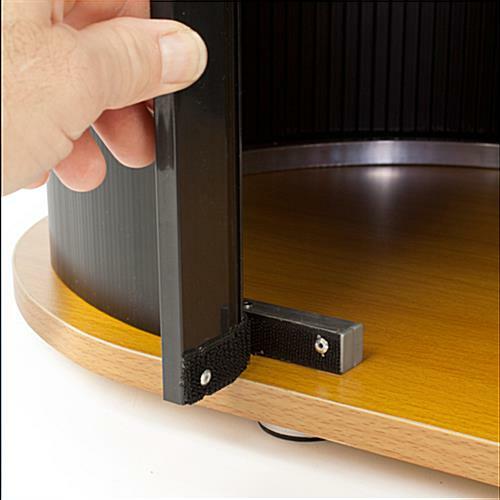 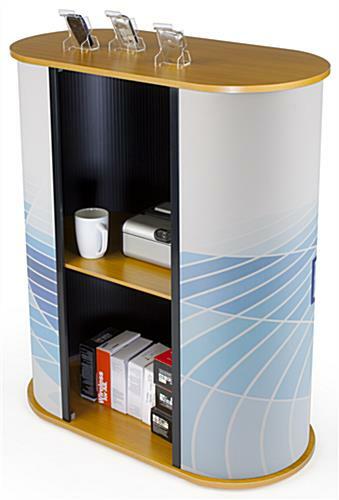 A shelf hidden inside the modular counter is ideal for holding additional merchandise or personal belongings during long hours in exhibition booths. 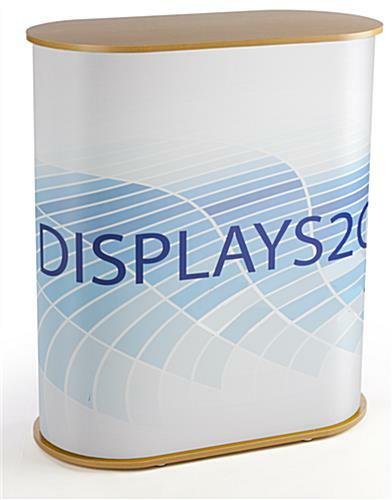 Should your need for this custom portable display change, you can always remove the graphic wrap or order another set of replacement graphics. 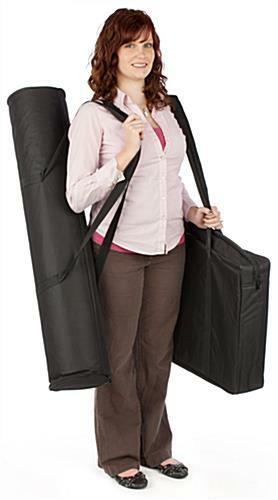 35.5" x 41.0" x 17.8"
37.0" x 18.5" x 5.0"